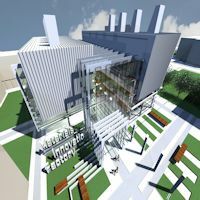 The University’s Materials Innovation Factory (MIF) has announced a number of new appointments who will deliver its academic programme. 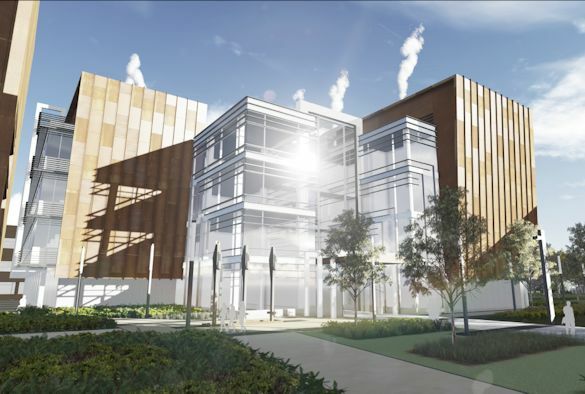 The £68 million facility, due to open in 2017, will revolutionise materials chemistry research and development by drawing together world-leading, multi-disciplinary research expertise, unparalleled technical facilities and a dynamic support infrastructure. Professor Ronan McGrath, Head of the School of Physical Sciences, said: “We are delighted to welcome these new staff to the University. This recruitment process has been very successful and we focused on recruiting researchers with complementary skill sets. Professor Alessandro Troisi has been appointed as a Chair and he will take up his post in April 2017. Professor Troisi specialises in the development and application of computational chemistry methods to the electronic and structure properties of materials and joins from the University of Warwick. He will to develop a new research project which will combine experimental and modelling data, rather than simply compare it, in order to achieve the maximum information from the experiment. In addition to Professor Troisi’s Chair, a number of new lectureships have also been recruited. Dr Vitaliy Kurlin joins as MIF Computer Science Senior Lecturer from Microsoft Research Cambridge where he is a data scientist working on computational methods for real-life problems, for example, designing fast algorithms for classifying geometric structures such as molecular graphs. His research will focus on finding new materials such as zeolites with stable and large pores or voids that could hold CO2. Dr Colin Crick has been appointed MIF Chemistry lecturer and he joins from Imperial College London. His areas of research areas are oil capture, functional composites and high surface area materials. Dr Matthew Dyer is appointed as a MIF lecturer joining the team from the University’s Department of Chemistry. His research centres on the application of theory and computation to materials chemistry, both in the bulk and at interfaces. Dr Liam O’Brien will be joining the team as MIF Physics Senior lecturer in February 2017 from the Cavendish Laboratory, University of Cambridge. His research focus includes magnetic thin film growth, characterisation and magneto-transport, non-local spin transport and highly spin-polarised materials, nanostructured magnetic materials and data storage devices and magnetic heterostructures and interface magnetism, including polarised neutron reflectometry. Dr Esther Garcia Tunon Blanca will take up her post as MIF Engineering/Materials Science lecturer in February 2017. She is currently with the Department of Materials, Imperial College London, and her research will focus on materials wet processing. Dr Lucy Clark will join the team from the School of Chemistry at the University of St Andrews. She will take up her new role in April 2017 and her focus will be the discovery and development of novel quantum materials. Dr Anna Slater who will take up the Dorothy Hodgkin Fellowship shortly will become a MIF Chemistry lecturer in December 2021 (after her fellowship). Dr Slater’s research background is organic synthesis, specifically of molecules capable of supramolecular interactions.